"Rogers has always been great. They take pride in their work and have great customer service. I've always been happy with how they accommodate getting my vehicles done in a timely manner." "Thanks Dawn, it's always a pleasure to see you!" "I recommend Northside every chance I get! Totally trustworthy and always friendly and helpful. It isn’t all about the money with them and they know what they are doing!!" "What a nice Review. We really are all about helping people. Thank you for taking the time to do a review. We appreciate you!" "Their customer service is great. They made sure to keep in touch with me about the repairs and possible solutions. The quality of work on my repairs was very good. I spent over two hours driving after getting my car back. It runs like brand new again." "Glad to hear your vehicle is running great and you were pleased with your service. Thank you for taking the time to do this review." "Exceptional quality of work! Caring, professional employees who don't lie to their customers." "Thank you for your kind words! We appreciate you!" "I rarely leave reviews, but Roger's Northside Garage deserves one. A little about me: I'm a DIY kind of guy, grew up working in 4x4 shops and salvage yards, am cynical/skeptical and feel there are more bad repair shops than good which is unfortunate because it gives the hard-working honest shops an extra hurdle to attract new customers. But Roger's, wow, more Boise businesses should be run like this place! How did I find Roger's? Did a Google search for "Best Boise Independent Auto Repair" and they were always in the top three. My call for an estimate was answered quickly, Brad was friendly and patient (probably deals with a bunch of 'I think it's a funny sound from somewhere but I don't know where, can you help?') and based on my limited auto parts knowledge and forums his input was a perfect match of what was wrong with our car. As for pricing, it was very, very good and the appointment was quick. Showed up early, got car back on time, and Brad showed us all the work performed and recommended some work that could be done in the near and distant future. No hard sell, no pressure. Everything was on their big screen TV with high-resolution pictures and explanations in layman's terms. They even have a first-time customer coupon. We left almost in shock (no pun intended since our work was for rear struts, ha). Roger's was the opposite of our bad experiences with shady car repairmen, and I will definitely tell everyone to consider Roger's for their professional demeanor, great work and fair pricing. I am in no way affiliated with the shop, its employees or friends." "It is the most professionally run garage in town." "Thank you Randy! You are such a delightful person, and we truly appreciate you!" "Best service in the Boise! These guys know how to work on most anything in the automotive world, I have been going here for a few years now, and they are the only place I bring my cars to for repair. Being a car guy myself, I trust Roger's Northside Garage, they only repair what you want them to and are very reasonable." "Definitely recommend your shop to others. Thanks for a positive experience!" "They were very friendly, helpful, and efficient!" "Great communication of repairs needed and options given." "They do good work but didnt look deep enough for problem stated. No longer as severe but still there." "They are friendly, honest, and always explain what they found a give you options. Highly recommend"
"Thank you Janet, we appreciate you!" "Great service at reasonable prices and what is really important is that they do the work right." "You are correct John, precision is very important. We are glad you are happy with your service, and appreciate you taking the time to do a review." "Rogers' always provides exceptional service that it is worth paying a little extra for. Getting great and honest service is hard to come by." "Rogers' Northside Garage does a great job!" "They are honest and forthright in diagnosis and estimates, and work hard to make it right." "I guess I would just say "No problems""
"Great work and nice guys too!" "The availability for an appointment is quick; the service is great and the people that you deal with are knowledgeable and so very friendly -- makes you feel like a member of the family!" "Thank you for your kind words! We think of our customers as family also. :)"
"They are nice guys and I trust them." "I would absolutely recommend Rogers. I was pleasantly surprised that the diagnostic testing for my car's starter was free. It made the decision to bring it back to Rogers for the starter replacement very easy. The shuttle service offered is also a huge perk. Not having to worry about how I would get to work after dropping my car off and then getting back to the shop to pick it up is such a relief. I will definitely be back." "They do an excellent job and they're honest. They've never tried to sell me work that didn't need to be done." "Thank you for your kind words. We truly appreciate all of our wonderful customers!" "Great guys who take very good care of you and your vehicle. one time I drove up for some air in my tires and I happen to have my Camper with me and the mechanic took the time to check all my tires, air hose my vents and actually check my spare tires for pressure! that's service!" "Rogers' Northside Garage is always reliable, honest, and thorough with their service." "Great diagnostic service, overall A+." "Excellent timely work, courteous knowledgeable staff and overall outstanding customer service. I really appreciate the thoroughness of the final report and pictures taken of the parts serviced." "I would tell them that Roger's Northside Garage always does the best work at the lowest price. Throughout the years I have checked their prices against other competitors and they always beat their prices. Not only so, but I've never had to take anything back to them. They get it right the first time. They are accommodating, professional, caring and personable! 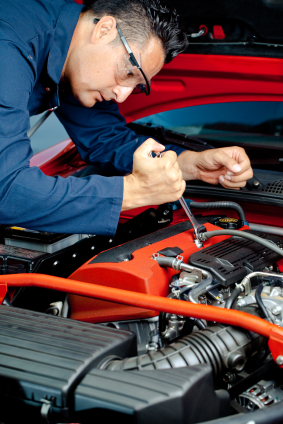 There is no one that I trust my vehicles with more than Rogers Northside Garage." "Thank you for that very nice review. We really appreciate you also!" "Relatively large shop with small shop service. Good communication." "They are a professional, quality shop." "Absolutely, go to Northside Garage -- they are professional and thorough and very friendly." "Amazing service! Fast, friendly, and pics of my car's deteriorating power steering belt and dirty air filter. Thank you, Brad and others"
"I tell them that I have been with Rogers Garage for many years and have always been very happy with the work they do and the price they charge. They are the best!" "They're the BEST! Go there, you won't be disappointed!" "Best auto service in the valley"
"They do a good job and they tell you if there is any thing else wrong with your car before they do anything ." "BEST PLACE IN TOWN TO GET EXCELLENT SERVICE AND QUALITY WORK." "It was a great experience and very informational. I already referred my mother your way!" "Go there! I've recommended Northside to many many people!" "Being a new referred customer, I found Everyone to be professional, courteous, and knowledgeable. Providing free shuttle is definitely a plus! The work done is automatically warrented for a few years! Wow!" "Rogers North Side garage is what everybody looks for from an auto repair facility; which is honest competent evaluation with no added or unexpected charges.The mechanic there Pat has all the experience and ability anyone could ever hope for in a mechanic. I would highly recommend this facility for all your automotive repair and manitenance." "Great Review! It really means a lot to hear we're keeping our customers happy. I'll be sure to let Pat know you are happy with his work. Thank you for spending the time to write this review." "Very knowledgeable and helpful in every aspect. Thank you." "Jimmie is the man!! Always keeps my car running." "It is very good and they call you if they find any thing else wrong." "TAKE YOUR CAR TO THEM. They do excellent work, and have thorough knowledge of all cars of all ages. I've had them work on everything from my 1931 Model A Ford, 1949 Mercury Custom, 1958 Ford Skyliner, and 2002 Jeep." "The service is great,The guys know what they are doing .Then work is good all around good ." "I would tell them they will fix it right the first time." "We are so glad we found Roger's. They cared about our car repair. is all around a great place and we're glad we found them!" "They always get me in, find the problem and fix it quickly." "That you guys are honest and that we trust you. We have been loyal customers for 10+ years." "I trust James is looking out for my best interest. As long as I feel that way I will continue to use them for all of my auto needs"
"The service provided was good and I would come to Rogers in furture, if needed." "We really appreciate you taking the time to leave a review, thank you." "I would tell them if you want a repir job done right the first time and at a fair price, take it to Rogers. Josh, the service writer was great, explained what the problem was and an estimate of the cost and time required. Repair price was actually below the estimate and they had my jeep ready when they said it would be." "There's only a few shops in the area that I'll recommend, and Roger's is usually the first one." "Thank you! We really appreciate the feed back!" "We have them repair and manage our company fleet. They keep great records of all service history and help with advice on vehicle purchases. The staff is friendly, competent, and organized. The shop is clean. The waiting room is comfortable." "I trust them as professional." "I would tell someone that if you want to take your vehicle to someone you can trust go to Rogers' Northside Garage!"